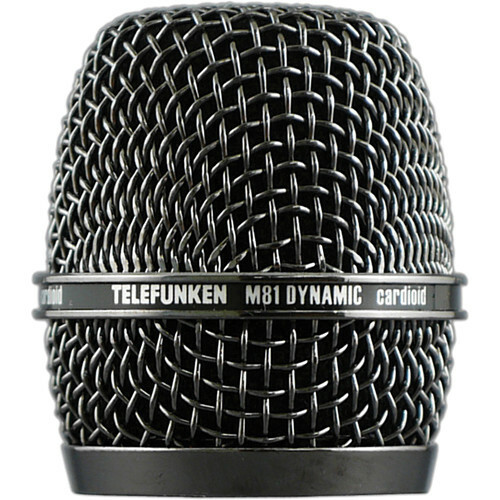 This black Telefunken M81 Dynamic Microphone Replacement Grill is available in case your original M81 microphone grill is lost or broken. It is comprised of a ball-shaped woven metal mesh that lessens breath sounds, plosives, and wind noise. The microphone grill screws into the M81 dynamic microphone body. Box Dimensions (LxWxH) 2.2 x 2.0 x 2.0"